BUFFALO, N.Y. – It’s been 18 years since a pro-hockey player skated on the ice without a helmet during a game. The National Hockey League began mandating that all players wear protective head gear in 1979. 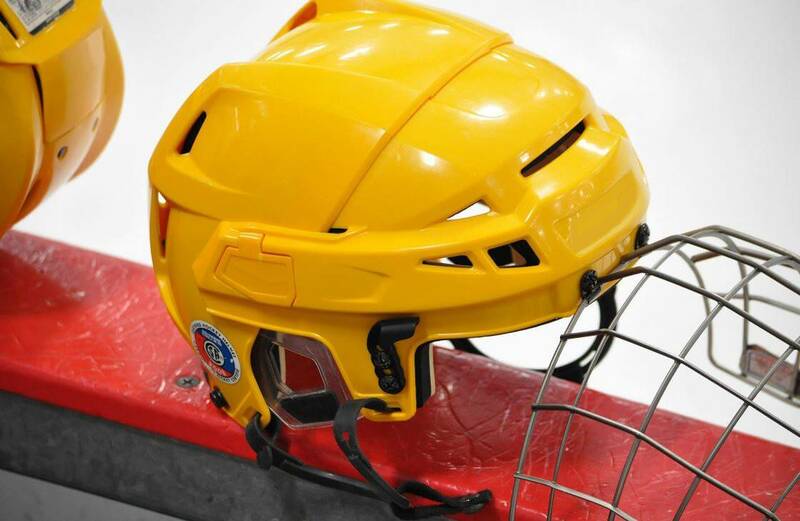 Even then, the league knew helmets could protect players from severe brain injuries but a new study suggests hockey helmets are in fact, unsafe. Engineers at Virginia Tech’s College of Engineering recently examined football helmets and the impacts that cause traumatic brain injuries. Their findings helped change the sport, making it safer for athletes. The school has now developed new research for the sport of hockey and its initial findings were mind-jarring. 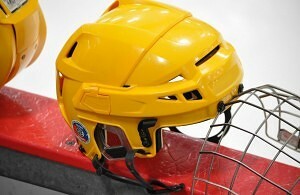 Virginia Tech released its five-star ratings for hockey helmets, judging their abilities to prevent concussions. Of the 32 brand-name helmets engineers tested, zero had a perfect score. In fact, none of the helmets could even get four stars. The highest rated helmet had just three stars. The 31 other head accessories tested earned just adequate or marginal scores. According to Virginia Tech engineers, cost had no impact on a helmet’s safety rating. Researchers tested each of the helmets a total of 48 times, pummeling the headwear with battering rams a total of 2,000 times both in a laboratory and on an ice rink. The vast majority of the helmets tested scored zero or one star. Researchers plan to analyze helmets for baseball, softball, lacrosse. and youth football in the next decade. ROCHESTER, N.Y. – After a week of warmer temperatures the region hadn’t seen in over a month, road crews are reaching for the snowplow keys once again. This time, wintry weather is sweeping across the northeast bringing rain, snow and sleet, making roads extremely slippery heading into the weekend. The back and forth mixture of rain and snow make for some of the most dangerous road conditions. In the Great Lakes region, fog can further limit visibility for drivers and increase the likelihood of an accident. Car accident lawyers advise all drivers and passengers inside vehicles to wear a seat belt this weekend. If a car or bus driver loses control, a seat belt improves the chance of avoiding serious injury. Drivers are also advised to be aware of other drivers, especially those behind them. Drivers are advised to always travel in their designated highway lanes and to safely move over for faster traffic. NEW YORK – The message has been kicked, punched and shoved into our brains for decades and the seat belt campaigns have paid off. In 1983, only 10 percent of drivers and front-seat passengers wore safety belts. Today, Nearly 90 percent of those riding in the front of a vehicle are strapped in. 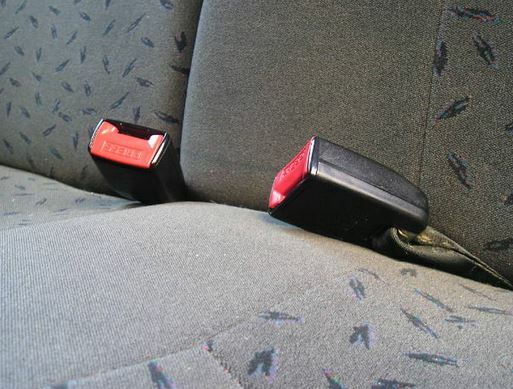 The National Highway Traffic Safety Administration (NHTSA) estimates seat belts have saved over 300,000 lives but there are still many drivers and passengers who fail to use the safety feature. 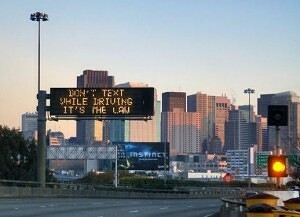 “More than half of those killed in crashes last year weren’t wearing seat belts. It doesn’t matter if they were in the front seat or the back, many of these lives could’ve been saved by wearing a seat belt in New York,” personal injury lawyer Steve Barnes said. A total of 20 states and the District of Columbia require seat belts to be used in all seating positions. New York State only requires drivers and front-seat passengers to wear a safety belt. The state has few regulations for passengers riding in the back seat of a vehicle. Despite this, more passengers are wearing belts today than 10 or 20 years ago but car accident lawyers believe there would be fewer car accident injuries if safety belts are utilized in every seat of a vehicle. New York Lawyers said typically, whether a client was wearing a seat belt or not doesn’t come into evidence in a personal injury case but on rare occasions, courts can determine that not wearing a seat belt played a major role in the seriousness of an injury. ROCHESTER, N.Y. – An alarming number of children are getting hit by cars in America and what’s even more disturbing is where these accidents are happening. 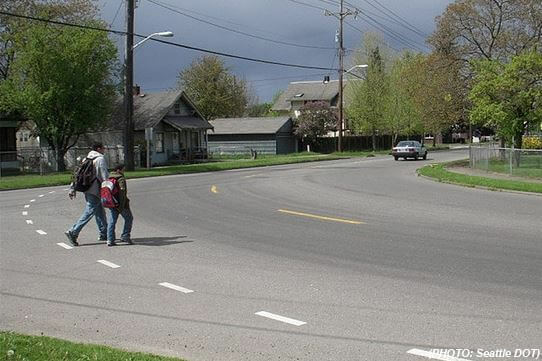 According to new research presented at the 2015 Annual Meeting of the American Academy of Orthopaedic Surgeons (AAOS), almost every child struck by a vehicle was near a school or a bus stop. Statistics show over 500 children are killed each year after getting struck by cars, trucks or buses and another 22,000 kids are treated in emergency rooms following this type of accident. Researchers said most of these accidents occur while children are unsupervised. According to the new research, children are most vulnerable around school zones during afternoons and evenings in spring months; specifically March, April, May, and June. Statistics from the National Highway Traffic Safety Administration show some of these children are struck by school buses but there’s little data to support concrete explanations as to why these accidents are happening. Doctors with the AAOS hope their new findings this month can help guide future prevention strategies. 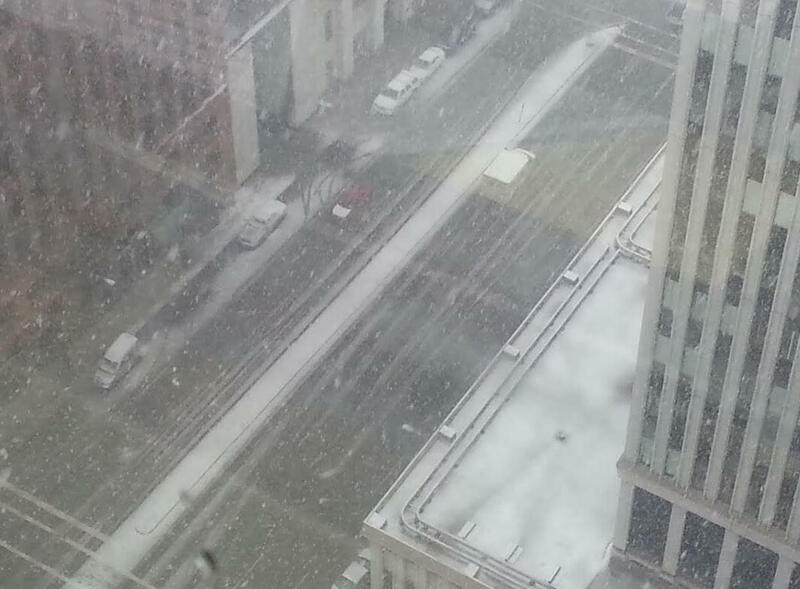 BUFFALO, N.Y. – Although it may not feel like it, spring has arrived in Western New York. 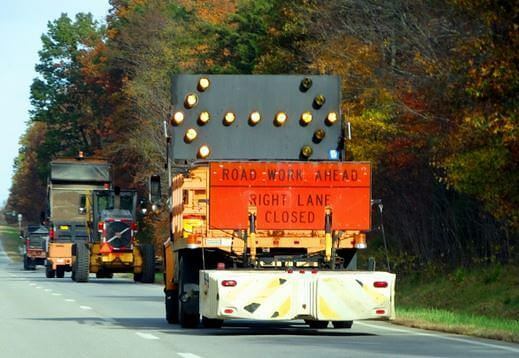 The season also kicks off several major New York State highway projects and various road repairs. The New York Thruway Authority will spend $75.5 million on four Western New York projects including work to the southbound North Grand Island Bridge on Interstate 190. The U.S. Department of Transportation records over 87,000 work zone crashes each year resulting in more than 37,000 injuries. Most accidents were recorded between 8 a.m. and 5 p.m., causing many states, including New York, to implement a Driver’s First Initiative. The program strives to complete most road repairs overnight. In 2010, there were 514 fatal crashes in U.S. work zones. These 514 crashes resulted in 576 deaths. Authorities reported speed or alcohol was a factor in half of these accidents. Buffalo car accident lawyers note that nearly all of these accidents are preventable if drivers adjust their speed and pay attention in a work zone. Work Zones must also follow state and municipal workplace laws to ensure the safety of all roadside employees. 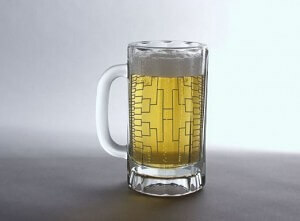 BUFFALO, N.Y. – Millions of college hoops fans are scratching off the losses and circling the wins on their brackets this time of year. It’s estimated that over $2 billion will be waged on the 64 team tournament. Millions of dollars will also be spent battling drunk driving. 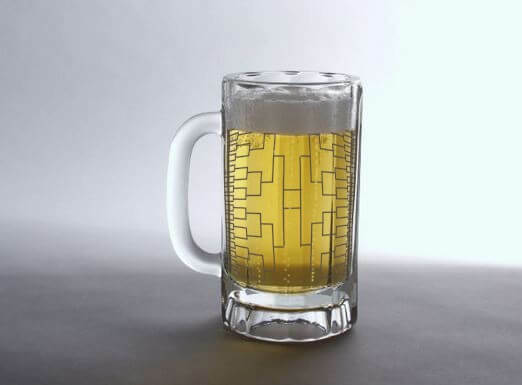 Police agencies across the country are planning to have extra patrols or DWI/DUI checkpoints throughout the tournament, which lasts until April 6th. Drunk driving patrols are most often widespread across a county or police jurisdiction but police also put extra focus around college and university campuses. For schools that have teams in the race for the national championship, statistics have shown that the number of drinkers can spike before, during and after that school’s game. Police say getting a safe ride home is easier than ever before due to the number of taxi services available, including the recent emergence of rideshare services like Uber and Lyft. Car accident lawyers say a busted bracket hopefully won’t cost you all that much cash but a DUI arrest can cost a driver thousands of dollars in fees. NEW YORK– The thought crosses the minds of most daily commuters every day: what’s the traffic like? Usually, the answer to that question is “awful.” However, experiments with new computer software coupled with cameras, sensors and timers could alleviate the moderate gridlock and perhaps, prevent car accidents. The BBC recently reported some areas in the United States are experimenting with new traffic control devices that could save drivers hundreds of hours every year. In theory, smarter traffic signals would keep the lanes flowing, reduce commute times and hopefully reduce the number of accidents during rush hour. Just across the Hudson River, the New Jersey Meadowlands Commission has been implementing the Meadowlands Adaptive Signal System for Traffic Reduction (MASSTR) since 2010 and the commission is now beginning to record its results. The MASSTR uses traffic signal controllers, detection devices, radio transmitters, and computer servers to program traffic signals to constantly adjust to real-time traffic situations and it’s the largest of its kind to be implemented in America. According to the commission, the MASSTR is expected to reduce delays in the Meadowlands by 1.2 million hours every year and save drivers more than 1.2 million gallons of gasoline. 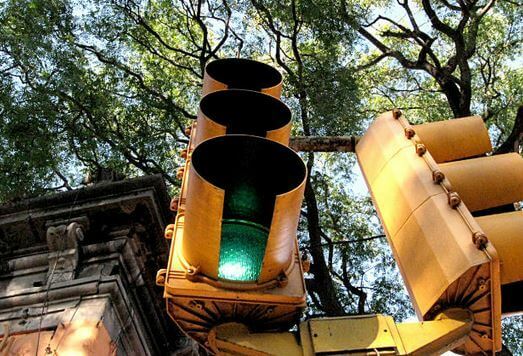 The system, composed of 74 signals in the region, has the ability to recognize a car accident and reroute traffic to relieve congestion, if necessary. Many of these ‘smart traffic systems’ are still being tested for their true effectiveness. In the Meadowlands, engineers say there’s a considerable improvement in traffic since the system’s completion last year. However, other areas researching similar systems question the effectiveness of smart signals versus the cost to implement them. NEW YORK – There’s a question singer and songwriter, Michael Bolton asked in 1983: “How am I supposed to live without you?” Clearly, he found a way but a new study suggests a broken heart can indeed have deadly consequences. A group of researchers set out to identify the factors that can result in the onset of Takotsubo Syndrome, also known as stress-induced cardiomyopathy. Doctors say it’s a temporary and sudden weakening of heart muscles, often triggered by emotional stress or constant anxiety. Researchers found that most patients experienced emotional or physical stressors before the onset of Takotsubo Syndrome. The stressors, the study notes, could be anything from a bad break-up to being a survivor of a car crash. The sudden emotional stress can cause abnormal contractions of heart muscles. Researchers said these contractions usually disappeared one to four weeks after a catalyst but it can sometimes persist, leading to more serious complications and even death. The onset of Takotsubo Syndrome was found to be particularly dangerous to individuals with psychological disorders, pulmonary diseases and cancer. 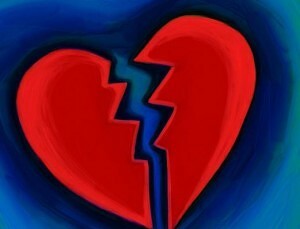 Researchers concluded the condition needs to be studied further so doctors can better treat this broken-heart syndrome. NEW YORK – Every year, millions of Americans head into the streets (and their local taverns) to celebrate the feast day of Ireland’s patron saint, St. Patrick but many of the origins are seldom known. For example, St. Patrick wasn’t even Irish. Before sainthood, the man we now know as “Patrick” was born in Roman-occupied Britain and was brought to Ireland as a slave. Patrick would eventually convert much of the country from pagan beliefs to Christianity before his death on March 17, 461. 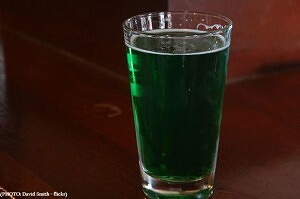 Today, more than 33 million Irish-Americans and descendants celebrate St. Patrick’s Day by combining corned beef and cabbage with green cocktails and pints of Irish beer. While it all seems like good fun, the celebration is often ruined by drunk driving incidents. According to WalletHub, a drunk driver will cause a deadly crash every 46 minutes on the Irish holiday. New York car accident attorneys suggest drivers be extra cautious on St. Patrick’s Day. Not only are police aware of the increase in drunk driving; sober drivers should be aware there could be more drunk or reckless drivers on the roads.